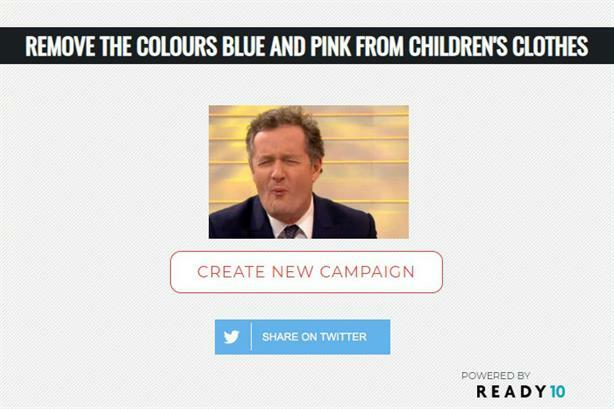 It's becoming the PR tactic du jour - and now a PR agency has launched a website dedicated to generating campaign ideas to trigger Piers Morgan. Already this year the Good Morning Britain presenter’s rants against Greggs’ vegan sausage roll and the new Gillette campaign have helped generate publicity for both brands. Ready10 said: "Whether it’s deliberate on the part of agencies or not, there’s little doubt that provoking Piers Morgan seems to be a regular by-product of the modern marketing campaign. We’re sure there are people out there who are not entertained by Piers working himself up, although we haven’t met them yet. "This is a bit of fun for anyone who wants to continue to fuel the faux-fire, annoy the agitator and royally 'piers' him off. We hope our industry colleagues enjoy the tool and if any campaigns are launched as a result, the only payment we will require is the time and date you’re on Good Morning Britain so we can tune in."